Freezing chicken is a great way to save money when poultry goes on sale. Stock up when prices are low and keep frozen chicken for up to a year in the freezer. Cooked frozen chicken makes for quick meals on busy nights. It's so easy to pour some out and whip up something like quesadillas, add chicken to a salad or whatever you want. Precooked sliced chicken thaws fast for quick meals on busy nights. 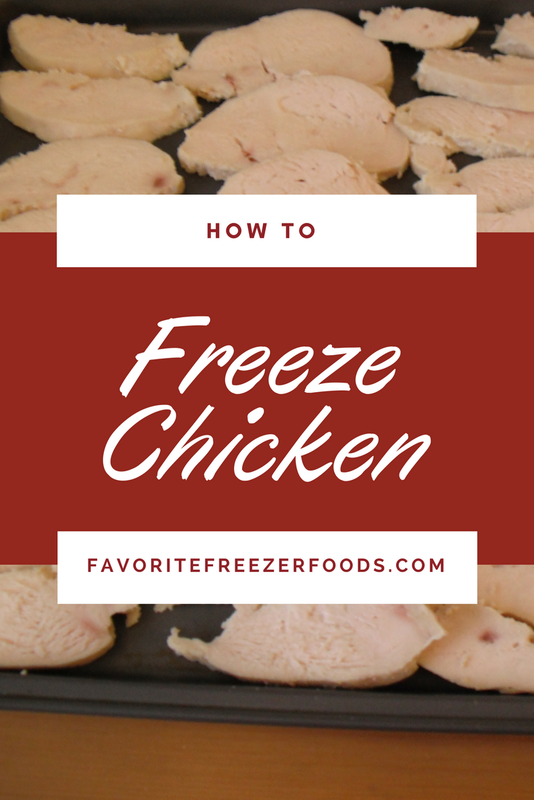 You can try freezing chicken raw and whole, sliced, cooked or in meals. The varieties are endless. Wrap well in high quality freezer containers. 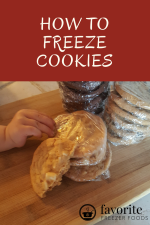 Don't cheap out on containers or you'll be wasting your money, freezer burn isn't appetizing, especially if you have picky kids! Plastic freezer wrap and butcher paper or freezer bags work well for raw chicken. For cooked chicken use plastic containers or freezer bags. And for long term storage (a year or more) consider using a vacuum sealer. Place chicken in the coldest part of the freezer in other words don't put it in the door! Also, store your frozen chicken where it will be least likely to leak onto other foods if distaster strikes and it thaws inside the freezer. Raw meats at the bottom, cooked above that but below fruits, veggies and baked goods. Learn more about how to organize your freezer here. 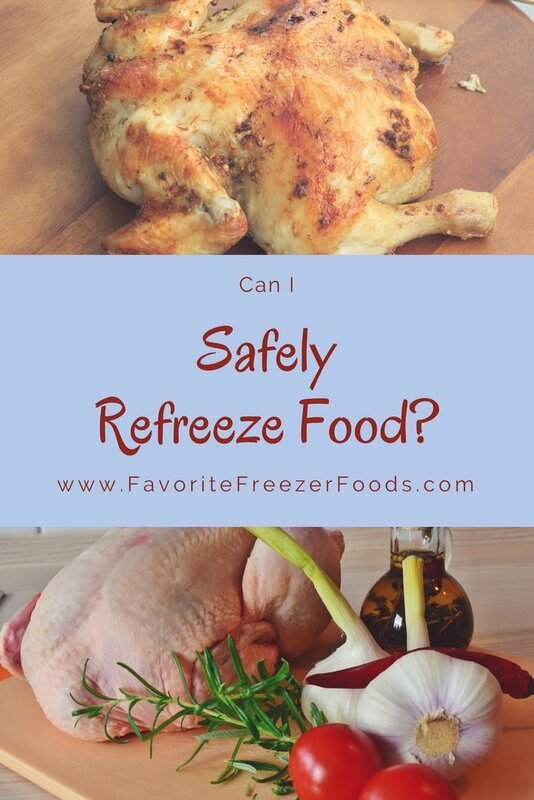 Freeze raw chickens and chicken parts like breasts, legs and thighs can be frozen for up to a year. This is a great money saver when you can buy on sale or in bulk. Wrap them well to protect it from freezer burn and preserve quality. Also make sure that your container will not leak when the chicken thaws. Bacteria does not grow in the freezer so one year is a guideline for quality not for safety. Your chicken will still be safe after a year as long as it stayed frozen the whole time. Raw chicken can also be frozen in a marinade. Many marinade recipes and meals are called "dump chicken" because you just dump everything into the bag, smoosh it together and freeze. This is great for the crock pot or to slip into a glass pan and bake in the oven. Use frozen cooked chicken within 2 or 3 months, cooked meat doesn’t have as much moisture as raw meat and gets freezer burnt much quicker. If your freezing cooked chicken for longer than two months freeze it in some broth. The broth protects the meat from drying out and can be drained away when you thaw it. Or use a vacuum sealer which makes sure there is no air in the bag to dry out the meat. However, most vacuum sealers don’t work well with liquids so don’t combine these methods. Sliced chicken is super quick to heat up for dinner on busy nights. Cooked chicken in frozen meals follows the same rules. Freezing chicken in a sauce, broth or gravy it will help it last much longer without losing quality than a meal kit where the cooked chicken is frozen separately. Use your best judgment based on your cooking method and the size of your chicken pieces. If your not sure thaw it, biting into partially frozen food when your expecting a hot meals just isn’t very appetizing. I never thaw my cooked chicken before making oven meals like BBQ pizza or chicken and rice casserole because it will get plenty hot in the oven. However, I thaw it for fast meals with less cooking time like fajitas or quesadillas. You can also thaw your chicken for no-cook meals like cold chicken salad or wraps. Raw chicken can be cooked from frozen on the stove, grill or in the oven. 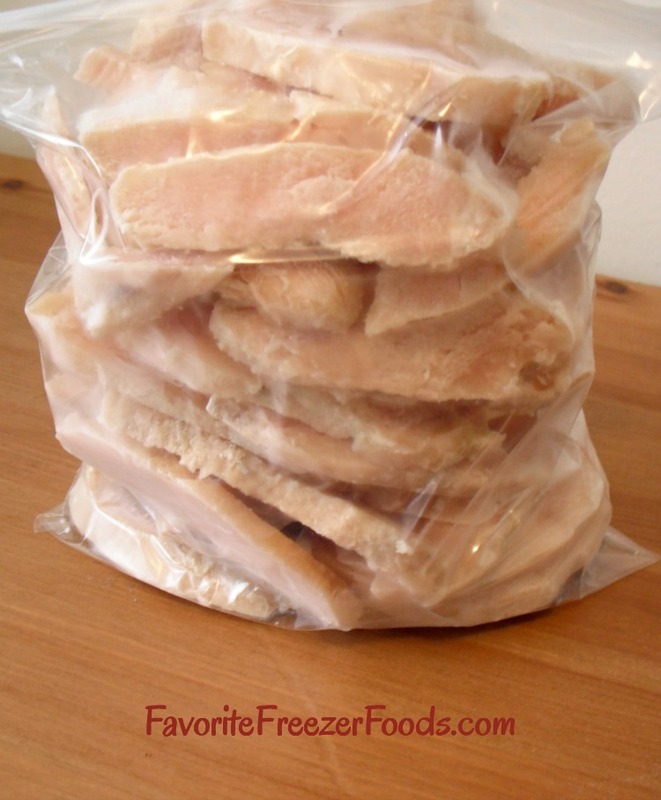 Learn more about cooking frozen chicken and thawing chicken. 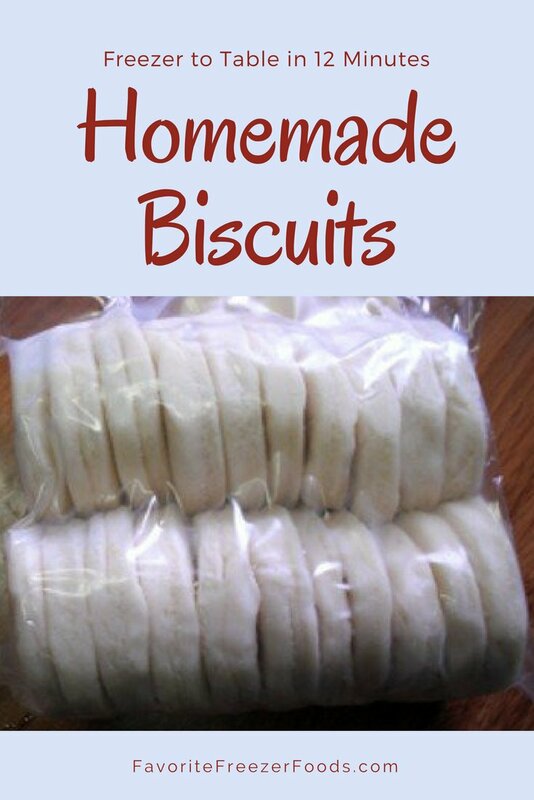 Homemade biscuits for the freezer. 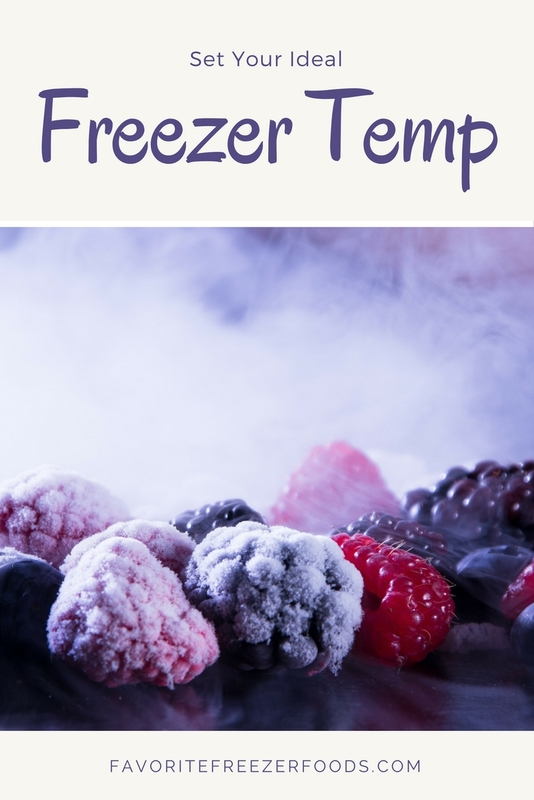 Find the ideal freezer temperature for freezing and for storing food. 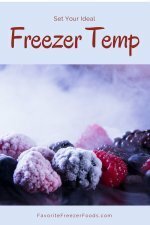 How to refreeze food safely. Learn what you can and can not refreeze to stay safe and healthy.